There has been a significant development in the area of free and open source geospatial software. Research has flourished over the decades from vendor-dependent software to open source software where researchers are paying increasing attention to maximize the value of their data. It is often a difficult task to choose particular open source GIS (OGIS) software among a number of emerging OGIS software. It is important to characterise the projects according to some unified criteria. Each software has certain advantages and disadvantages and it is always time consuming to identify exactly which software to select for a specific purpose. This chapter focuses on the assessment criteria enabling developers, researchers, and GIS users to select suitable OGIS software to meet their requirements for analysis and design of geospatial application in multidisciplinary fields. This chapter highlights the importance of assessment criteria, followed by an explanation of each criteria and their significance with examples from existing OGIS software. There has been a noteworthy progress in the area of free and open source geospatial Software. In the past proprietary software such as ArcView, ArcGIS, Arc info, have been extensively used for teaching, learning and research purposes due to wider functionalities, the user friendliness of their interfaces, and also demand from industry for graduates having knowledge and skills of using a particular (or widely used) GIS software product. However, over the past decade there has been an intensive attempt to design and expand free, i.e. non-proprietary, desktop GIS software products (Sherman, 2008; Steiniger & Bocher, 2009; Donnelly, 2010). Most of the industries are involved with solving problems related to basic needs of capture and visualization of spatial data and storage capability. Further advances in technology have increased interoperability across data repositories as well as user friendliness. These advancements have failed to address current development in Geographical Information Science (GIScience), which include research areas such as spatio-temporal data models, geographical ontologies, spatial statistics and spatial econometrics, dynamic modeling and cellular automata, environmental modeling, and neural networks for spatial data (Câmara, 2003). Developing a faster, cheaper and spatially enabled database is a major challenge for researchers and software developers than the software developed by the commercial vendors. A second important reason for developing open-source spatial analysis tools is the need to resolve the “knowledge gap” in the process of deriving information from images and digital maps. Difficulties in extracting information from images and digital maps are another important reason for developing open-source GIS tools. The complexity further arises due to sophisticated and sensitive data collecting process through remote sensing satellites, digital cameras, and GPS. In fact, very few techniques for image data mining in remote sensing archives are currently available in our large earth observation data archives (Câmara, 2003). Studies on vendor dependent software to open source software has been increasing rapidly in the last 15 years due to growing consideration to maximize the value of spatial data so that resources can be utilised more efficiently (Shekar et al., 2001; Hartnett & Bertolotto, 2003; Morrison & Purves, 2002; Caˆmara & Onsrud, 2004; Purves et al., 2005). The XML and Java languages being the major languages for open source GIS software, has contributed to the advancement of the GIS software (Chen et al., 2010). Government, Academics and Developers are the major users of open source software such as web-based GIS and mapping applications as it is free of cost (Confino & Laplante, 2010). Researchers, academics and students can learn and collaborate more easily because of the open source concepts, coding, and algorithm. Robustness as well as user friendliness have made open source GIS widely popular and accepted in the industry. 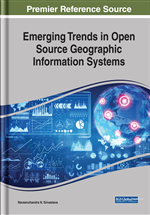 The continuous progress and development of free and open source software has extensively influenced and assisted in dissemination of information technology (Tiemann, 2009). Open source software will emerge as the largest distributer of software due to it continuous contribution to development of information technology leading to cheaper software and new business model (Peter Galli, 2007). Overall, the open source GIS is a great platform to share and manage the geographical related information in a ubiquity, visualization and interactive way.